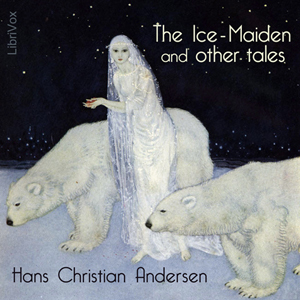 The Ice-Maiden: Written toward the end of Hans Christian Andersen's career, "The Ice-Maiden" is the story of Rudy, a boy who's mother died in the ice of the mountains while he survives, saved by the kiss of the Ice-Maiden. The Ice-Maiden, jealous that the boy she claimed has escaped her embrace, pursues him through the rest of his life. The Butterfly: A butterfly searches for the perfect flower to be his bride. The Psyche: An artist creates a sculpture of a beautiful woman, to whom he confesses his love and is scorned.